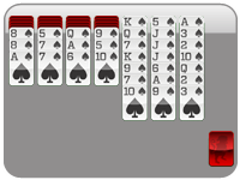 Four Suit Scorpion Solitaire is the most difficult version of spider solitaire, and you can find it for free online right out of the browser, or for free download. 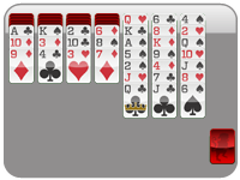 This spider solitaire variety only lets you put kings on the open spots in the tableau. 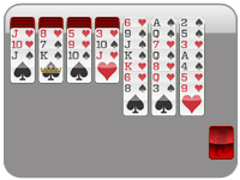 Just shuffle around the cards (it's good to keep as may open spots available as possible), until you get four stacks from ace to king, which will automatically disappear when created.